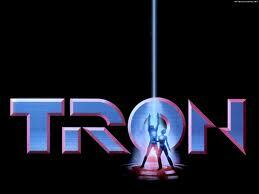 I wonder if the Tron film doesn’t do well, which we all know IT WILL, if Disney will cancel the series. Time will tell. It is looking like it has an AWESOME voice cast as well. Its voice cast, according to Variety, includes Bruce Boxleitner, Elijah Wood, Emmanuelle Chriqui, Mandy Moore, Paul Reubens, Nate Corddry and Lance Henriksen. I know several of these actors already have stuff on their plate as of now, but it is shaping up to be an awesome series. I gotta think that being on the Disney XD channel that the show will not be a PG-13 type of rating such as the old X-Men cartoons, or stuff on Adult Swim. Can’t wait to see it. There’s a New ‘Tron’ Animated Series Coming!!! Check Out The Trailer for ‘Tron: Uprising’!!! ‘Family Guy’ Creator Seth MacFarlane Is Bringing ‘The Flintstones’ To Fox!!! This entry was posted on Friday, November 5th, 2010 at 10:28 am	and is filed under News. You can follow any responses to this entry through the RSS 2.0 feed. You can leave a response, or trackback from your own site. The salt balance has to be just right, so the best fat for making soap comes from humans. Wait. What is this place?